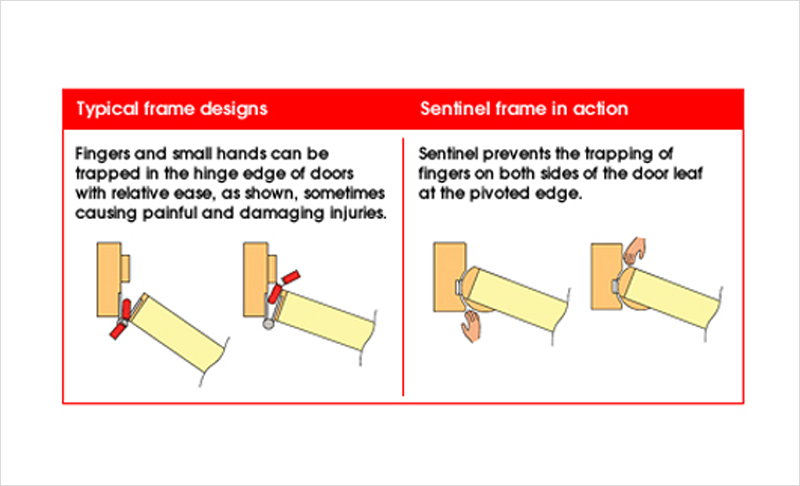 Sentinel is an innovative hand and finger protection solution that allows specifiers and architects to achieve outstanding performance, without compromising design or architectural integrity. 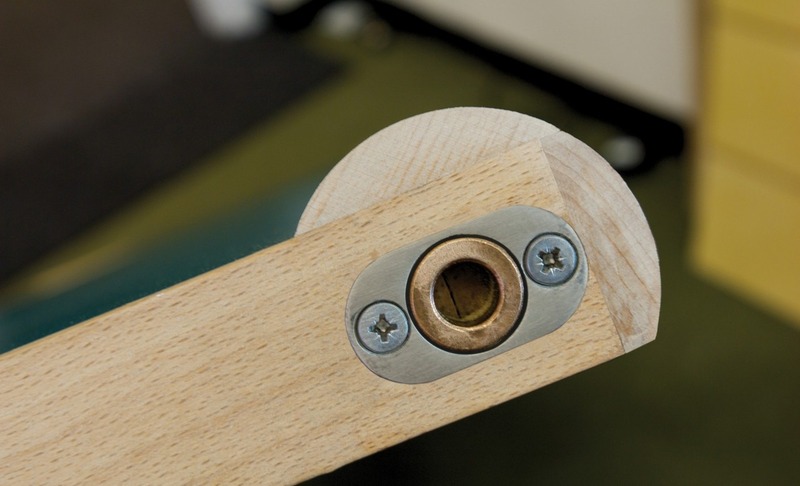 For some time, the hinge edge of a door has been seen as a possible area of harm for children, with a potential for shearing and crushing of small, inquisitive fingers, as door closers fitted as part of the fire-safety requirements shut the door automatically. According to the Royal Society for the Prevention of Accidents (ROSPA), 30,000 children trap and seriously injure their fingers in doors every year and more than 1500 of these children will need surgery. The cost of litigation for such incidents can also be substantial. Traditionally, these vulnerable areas have been protected by bulky and unsightly retro-fit products which are prone to damage and vandalism. Leaderflush Shapland has developed an innovative finger and hand protection system, Sentinel, which offers both a discreet and aesthetically pleasing solution. 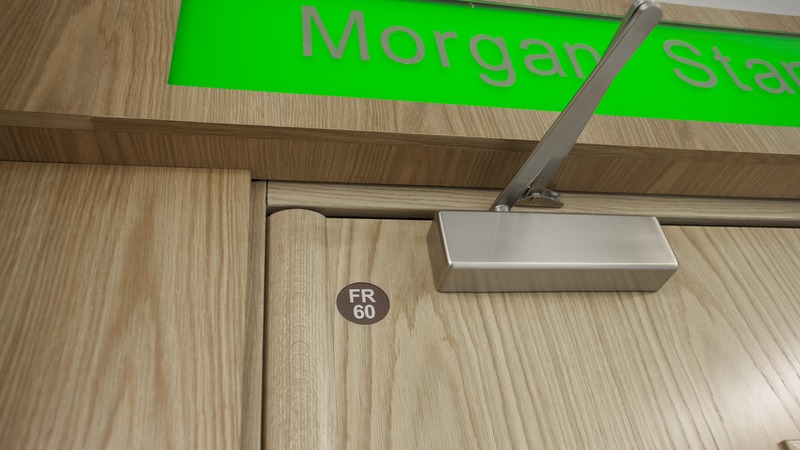 Sentinel uses a pivoted design with decorative timber elements as an integral part of the doorset and is ideal for educational environments, nurseries, health centres, hospitals and commercial applications. Sentinel provides effective and unobtrusive finger protection whilst guaranteeing the highest levels of performance. Seals and essential ironmongery are included, eliminating the risk of certification problems. 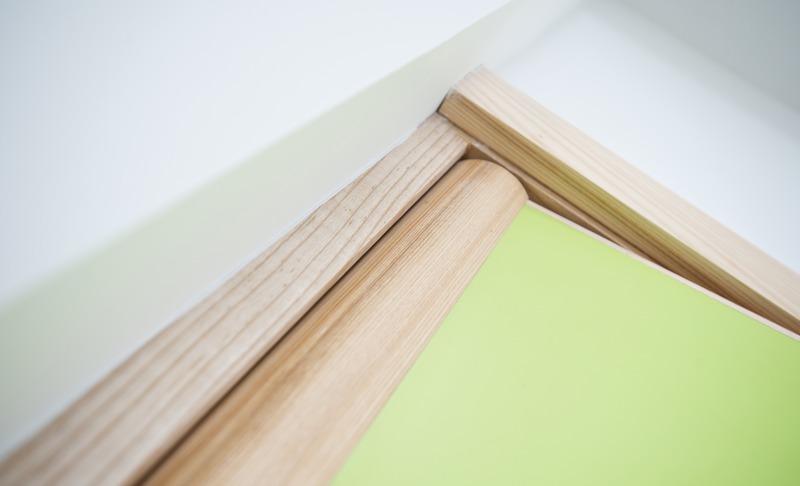 This integral solution not only satisfies important performance requirements - compliant opening forces, fire resistance of up to 60 minutes and the acoustic requirements in schools of 30 RwdB but also adds an option for a unique, contemporary, modern design for timber doorsets. It also negates the need for on-site trades fitting retro-fit components. With all materials used in the manufacture either FSC accredited or verified legal and sustainable, Sentinel is environmentally friendly as well as being one of the most effective and unobtrusive finger protection solutions in the marketplace. - Fully complies with Building Regulations and can be incorporated into any educational design application. - Traditional retro-fit finger guards often increase required opening force, whereas Sentinel complies with Approved Document M and BS8300. The Sentinel doorset is more than just an innovative way to guard against injuries to hands and fingers Sentinel is also a high performance doorset offering up to 60 minute fire resistance, Approved Document M and BS8300 compliant opening forces and 30 RwdB acoustic performance. Sentinel doorsets can be faced in veneer, laminate or can be supplied primed. In each instance the profiled hanging edge is supplied factory finished in lacquered hardwood and should not be painted over. Sentinel doorsets are supplied complete with all essential ironmongery. This is key to ensure that the performance characteristics -opening force, sound reduction, smoke control and fire resistance - are maintained. The ironmongery pack supplied will vary according to the performance and finish specified. Sentinel doorsets are supplied with door leaf and frame separate. The door leaf which operates with use of a pivot system is quick and easy to fit on site, once the frame is installed.